AMMAN (JT) — Her Majesty Queen Rania hosted the second joint annual meeting of the World Links Arab Region (WLAR) Advisory Council and Board of Directors at the Dead Sea on Monday. Discussions covered the regional progress of World Links, a global learning network linking teachers and students via the Internet for collaborative projects, which allows them to develop education-focused resources and share their knowledge, perspectives, hopes and dreams with their peers. "World Links' wires currently extend across much of the region... from Jordan, Syria, and Yemen and beyond... and several more countries have expressed interest in joining our neighbourhood network of knowledge," Queen Rania said. WLAR was launched in 2003 and is expected to extend to Palestine, Lebanon, and Saudi Arabia soon. To date, WLAR has reached 600 schools, 3,450 teachers and 440,000 students with plans to reach five million Arab youth by 2010. The network has created a robust virtual online learning community for teachers and students communicating across borders, countries and cultures. Commending the project, the Queen said: "I have looked at the fruits of this project at Jordan's Creativity Festival and saw how children are working together across geographical boundaries," adding that she had personally interacted with the teachers and found them enthusiastic and rejuvenated by the programme. At the festival last month, Queen Rania visited the Let Us Celebrate Our Differences website, which was created by students and teachers from Jordan, the Dominican Republic and the United States. The Queen invited everyone to look at the site, which paints a powerful picture of intercultural tolerance and respect. At yesterday's meeting, the Queen welcomed the latest member of the advisory council, Her Highness Princess Zahra Aga Khan, who brings with her valuable experience from the Aga Khan Development Network . Syrian Minster of Education Ali Saad, who was representing First Lady Asma Assad, Bahia Hariri, Elaine Wolfensohn, Minister of Education and Minister of Higher Education and Scientific Research Khalid Touqan and WLAR board members attended the meeting. WLAR was launched in Jordan in 2003 in 120 schools, seeking to improve educational outcomes, economic opportunities and mutual global understanding for youth in developing countries through the use of technology and the Internet. The programme provides connectivity solutions, professional development for teachers and training programmes for both policy-makers and local communities interested in launching educational technology initiatives. WLAR has trained more than 1,500 teachers in some 550 schools across Jordan since late 2003. The courses were centred on employing technology in the teaching process. By the end of 2007, WLAR, in cooperation with the Ministry of Education, will have trained a total of 5,000 teachers. By forming an Arabic learning network and supporting Arab teachers and students, WLAR helps teachers acquire the needed skills and knowledge to enable them to be better educators, and for youth to be innovative and critical thinkers. Today, World Links is recognised as one of the most innovative and successful education programmes assisting developing countries in bridging the "digital divide." Asiya Sasykbaeva: "Kyrgyzstan attaches great importance to cooperation with the Aga Khan Development Network"
Bishkek, October 17 / Kabar /. Kyrgyzstan attaches great importance to cooperation with the Aga Khan Development Network. Vice Speaker of the Kyrgyz Parliament Asiya Sasykbaeva met with Princess Zahra Aga Khan. A. Sasykbaeva noted that the Aga Khan Development Network provides assistance to projects in social sector, particularly in education and health care. 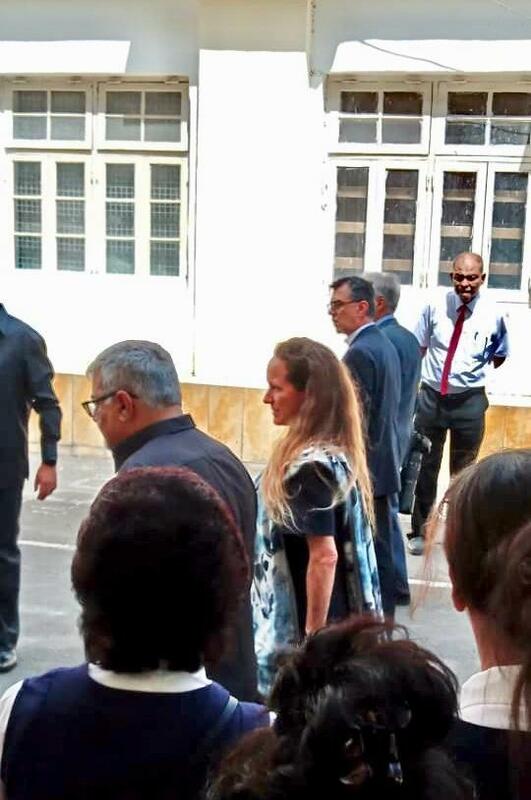 In turn, Princess Zahra Aga Khan told about the purpose of her visit to Kyrgyzstan and also touched upon the ongoing projects of the Aga Khan Foundation in Kyrgyzstan, including the construction of the University of Central Asia in Naryn. At the meeting it was noted that these days the 10th anniversary of the Aga Khan School in Osh will be celebrated. MP Kanybek Imanaliev, who attended the meeting proposed to open a similar school in Batken oblast. The sides also exchanged views on cooperation in culture, development projects and pre-secondary education, the press service of the KR reports. Princess Zahra is the eldest and only daughter of His Highness the Aga Khan, the founder and chairman of the Aga Khan Development Network (AKDN). Bishkek, October 18/ Kabar /. The Aga Khan School – the first private school in Osh - today celebrated its 10th Anniversary in the presence of Princess Zahra Aga Khan. Established in 2002, the school is part of a network of over 250 schools managed by the Aga Khan Education Services (AKES) in East Africa, South Asia and Central Asia and provides close to 500 students with quality learning experiences in an environment which values diversity, and responds creatively to the educational needs of children. The ceremony was also attended by Speaker of Osh City Kenesh, Vice Governor of Osh Oblast, Vice-Speaker Asiya Sasykbaeva, Vice Mayor of Osh City as well as 200 guests including senior government officials, heads of diplomatic missions, international organisations, parents, students and alumni. The celebrations at the Aga Khan School included student performances and a special awards ceremony recognising high performing staff, and outstanding students for their community service and academic excellence. 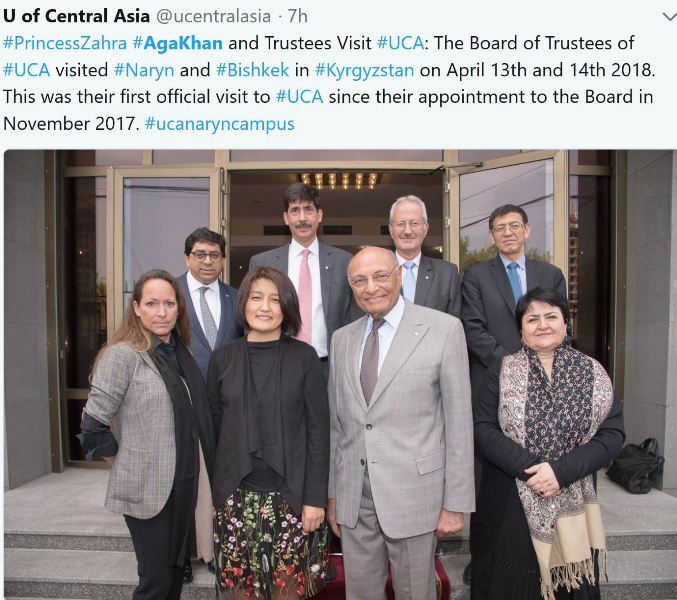 “Building on a century of leadership in educational development, the Aga Khan Education Services (AKES) established the Aga Khan School in Osh Kyrgyzstan in 2002 to offer an education for success in the modern world. Since the first graduating class in 2007, all 246 graduates have continued their education at local and international universities. This is a significant achievement,” said Nakat Abdulofizov, Head of Education, AKES, Kyrgyzstan. For the past decade, the Aga Khan School has become an integral part of the Osh City community offering innovative education approaches to both students and teachers. The school encourages students to master multiple languages, promotes the use of communication and information technology, as well as nurtures the love of sciences by conducting annual science fairs. It challenges the students to be intellectually inquisitive and socially conscious, preparing them to become confident leaders so they may contribute their knowledge to the development of their country. Each year the school presents several scholarships and needs-based discounts to students from different districts of Osh Oblast to pursue a high quality education. "I love spending my free time in the Learning Resource Centre, one of the best parts of the school,” said Nurkyz Abdykerimova, a grade 11 student. “The school provides students with everything they need. My parents are very proud that I am a student here. They are always excited to tell people that their daughter attends the Aga Khan School. Before, my parents wanted me to stay here, but now they are eager for me to study abroad. Thanks to my scholarship, my parents will be able to support my pursuit of post-secondary education at an international university." Following its mission of promoting quality education, the Aga Khan School has become the first school to be awarded a license from the Ministry of Education to offer certified professional development programmes to government school teachers impacting over 3,000 students. Developed in collaboration with the Osh Institute for Teachers Professional Development, these programmes highlight subjects such as the sciences, information technology, languages and critical thinking skills and have become models of best practice in Osh Oblast. “As a family we have always spent a lot of time on or near the sea, and it has always been the great love of my life,” says Princess Zahra Aga Khan. “I believe that it’s too late to reverse the molecular-level pollution in all the seas and oceans of our planet, but we can do a great deal to improve human behaviour, to reduce pollution and overfishing, and therefore to improve the habitat of ocean flora and fauna around the world.” Hence her commitment to “raising awareness about these crucial issues”. Educated at Harvard and based in Geneva, where she was born, Princess Zahra works for her father, His Highness the Aga Khan, managing the health and education services of the Aga Khan Development Network, which oversees not-for-profit health and education programmes and institutions in 12 countries. But she spends what leisure time she has by, on, or better yet in the sea (she is president of the Yacht Club Costa Smeralda in Sardinia). “Success breeds success” declares the well-known motto of Aga Khan Studs. Speaking in Mumbai at the end of January, Princess Zahra looked back on her family’s history with horses, and considered the future. The history of Aga Khan horse breeding goes back a long way, noted Princess Zahra. Aga Khan horses are no strangers to the winner’s circle today; nor were they back then. Notable among them is Shere Ali — winner of the 1869 Arab Derby — and equally valiant contemporaries such as Khusroo and Maharaj. In the 20th century, Mawlana Sultan Mahomed Shah and Prince Aly Khan would carry this success to the most prominent races in France, India, Ireland, and the United Kingdom. “Included in those lots was Mumtaz Mahal, the ‘flying filly’, and her blood still runs in the veins of our families today,” Princess Zahra pointed out. Mawlana Hazar Imam built upon this foundation, making the Aga Khan racing and breeding operation among the most successful in the world. Princess Zahra was delivering the keynote address to the 36th Asia Racing Conference at the invitation of the Asian Racing Federation. The Federation is the region’s principal body for thoroughbred racing, promoting horse breeding and international racing across its 21 member countries. 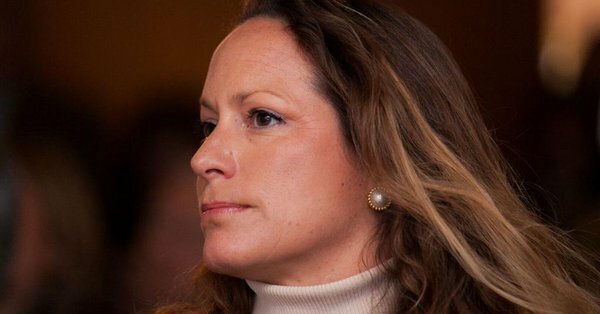 She used the occasion to voice concern about the loss of genetic diversity in the thoroughbred breed, and worried about a horse market that pursues trendy bloodlines and favours unproven stallions. This could be dangerous for the future of the thoroughbred horse. If breeders continue to limit themselves to chasing only a few choice pedigrees, experience suggests that the entire race of these animals will become more fragile and eventually decline. Although horse racing and breeding suffer the popular perception of being frivolous activities, they are in fact significant contributors to the rural economy, “employing millions of people around the world in areas of shrinking agricultural production.” While the modern world — dominated by technology and industrialisation — may have marginalised the horse, the long and impressive relationship between mankind and this animal cannot be ignored. Princess Zahra recalled the vast contributions that Aga Khan bloodlines have made in India and the wider region — not only through the direct breeding and racing activities of Mawlana Hassan Ali Shah, Mawlana Ali Shah and Mawlana Sultan Mahomed Shah in India, but also in the mares descended from Aga Khan families that continue to produce winners in India, as well as through chart-leading Aga Khan-bred stallions. 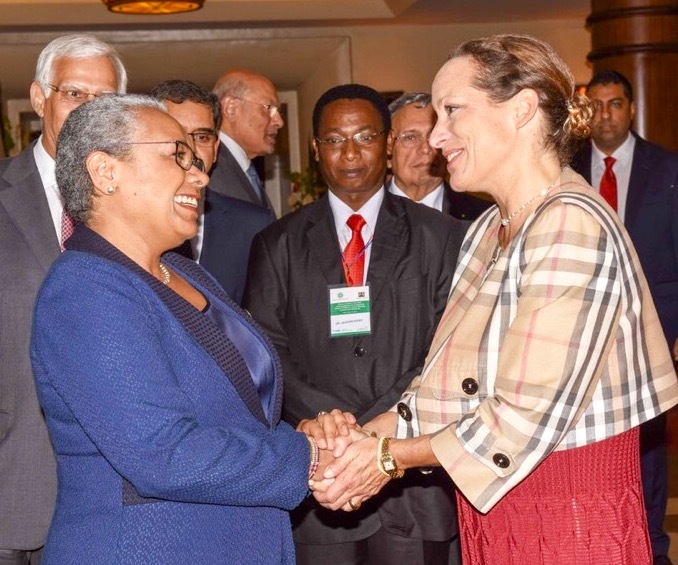 First Lady Margaret Kenyatta has said Kenya is among countries that have witnessed an incredible decrease in maternal and child mortality across the world. She said it is deeply encouraging that women are today receiving better ante-natal care, than at any other time in history. “The rate of maternal and child mortality has decreased, and more children are being immunized today, than at the turn of the century,” said the First Lady. 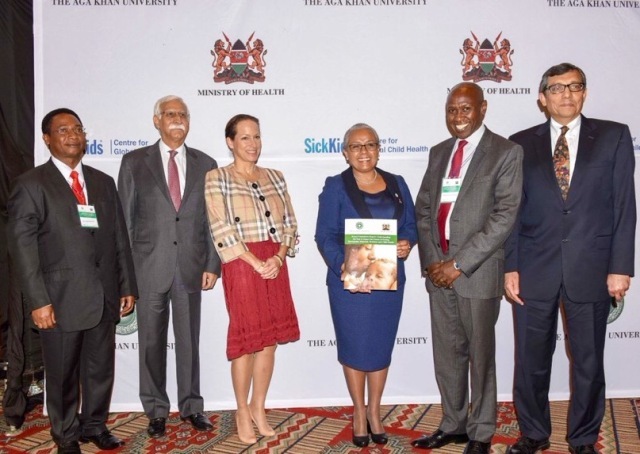 The First Lady made the remarks when she officially launched the landmark Kenya Countdown to 2015 Country Case Study Report: Understanding the Past to Impact the Future in Ending Preventable Maternal, Newborn and Child Deaths at a Nairobi Hotel. The First Lady said despite the milestones achieved in reducing maternal and child deaths across the world, there still remains too much disparity and inequity in access to health among some women. “There are still too many hurdles that some women must leap to access the affordable care that is their right. And there is still death. One death, in giving life, will always be one death too many. One child’s death, which could have been prevented, is a heart-wrenching tragedy,” she said. The Kenya Countdown report provides the much needed data to help policymakers and stakeholders with a roadmap that will help accelerate and provide answers to improve maternal and child health as well as achieve higher health targets. Countdown to 2015 is a global movement established in 2003 as a multi-disciplinary, multi-institutional collaboration, in response to a growing recognition that achieving the health-related MDGs would demand radical changes in scale and scope. Countdown tracks progress in maternal, newborn and child health in the 75 highest burden countries to promote action and accountability, and follow through on commitments to the Global Strategy for Women’s and Children’s Health. Kenya, like all other countries where similar work has been undertaken including China, is expected to translate the research to policy through country dissemination. The case study in Kenya was undertaken by various stakeholders, chief among them the Aga Khan University and the Ministry of Health. Aga Khan University Trustee Princess Zahra Aga Khan and the University’s President Mr Firoz Rasul were among the dignitaries who spoke during the launch. 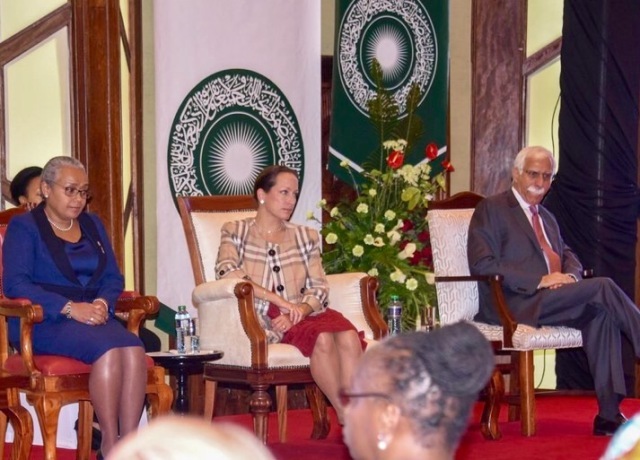 The First Lady applauded the spirit of collaboration between Aga Khan and the other stakeholders in undertaking the landmark research and coming up with the report. She said the Beyond Zero Campaign and all its operations are undertaken through similar collaboration. The First Lady said the report now provides the country with the facts and recommendations of what needs to be done to close the remaining gaps in the health of mothers, children and newborns. “We must remember that these numbers are people’s stories. We must be moved once again to a pledge to stand together to protect our mothers and to protect our children”, added the First Lady. While addressing these health issues, she said, the country must also address and close the loop in the entire healthcare system and seriously tackle non-communicable diseases like cancer, diabetes and high blood pressure that continue to claim many lives. 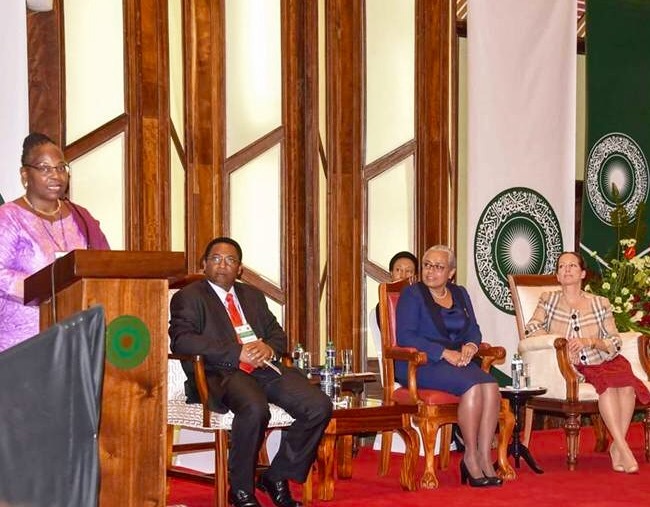 The First Lady congratulated the Aga Khan Hospital fraternity, not only for partnering in the research but its contributions in the training of healthcare professionals including doctors, midwives and nurses . 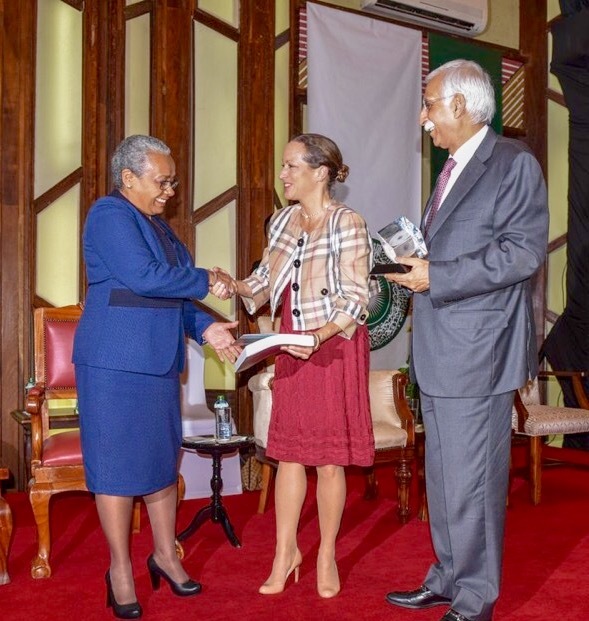 “I congratulate the Aga Khan University School of Nursing and Midwifery in Nairobi for contributing towards the pool of physicians in family medicine, obstetrics, gynecology, pediatrics and child health”, said the First Lady. Others who spoke during the launch included World Health Representative Dr. Custodia Mandlhate who also represented the UN family, Aga Khan University Foundation Dean ( Medical College, East Africa) Prof. Robert Armstrong and the Founding Director, Centre of Excellence in Women and Child Health at the University, Professor Zulfiqar A, Bhutta. Acting Director of Medical Services Dr.Jackson Kioko was also among the speakers. 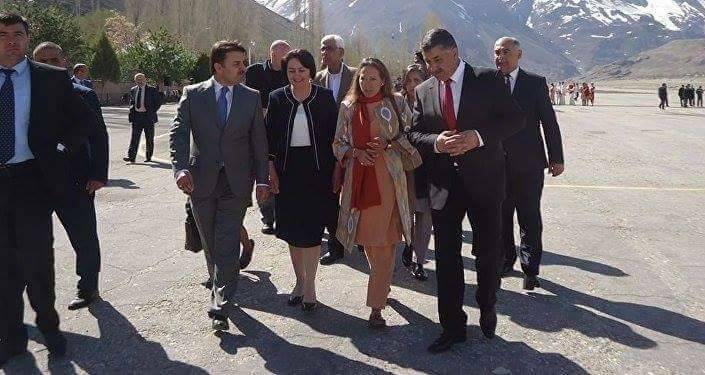 During her three-day visit to Tajikistan, Princess Zahra Aga Khan has visited the Gorno Badakhshan Autonomous Region (GBAO). 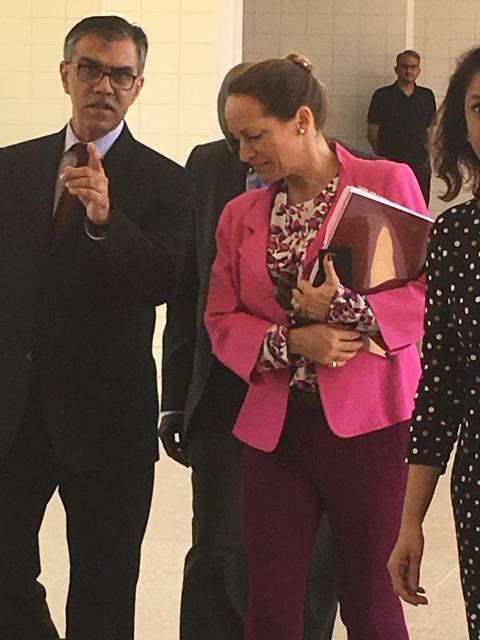 On Tuesday April 25, Princess Zahra Aga Khan was met at the Khorog airport by GBAO governor Shodikhon Jamshed, senior representatives of the Khorog mayor’s office and other regional administrators. 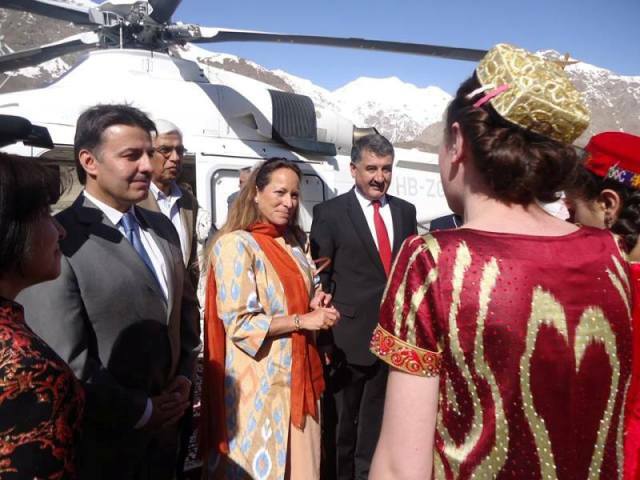 While in Gorno Badakhshan, Princess Zahra Aga Khan has reportedly visited a number of programs and projects of the Aga Khan Development Network (AKDN) in the region. Yesterday, she, in particular, visited the Langar area in the Ishakshim district. 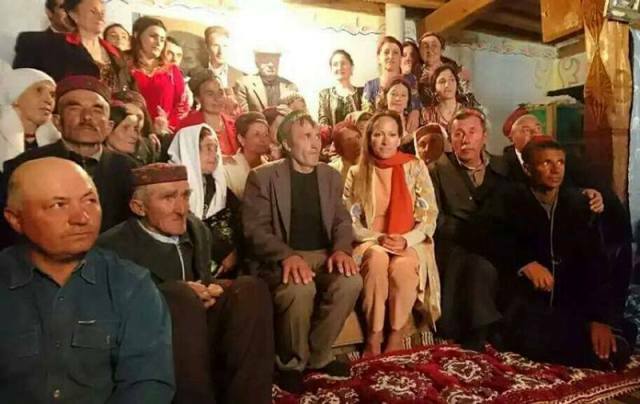 Today, Princess Zahra Aga Khan is visiting the Gudara area in the Rushan district and the Khidorjev area in the Roshtqala district. She is also scheduled to meet the GBAO regional administrators and representatives of the AKDN programs in the region. 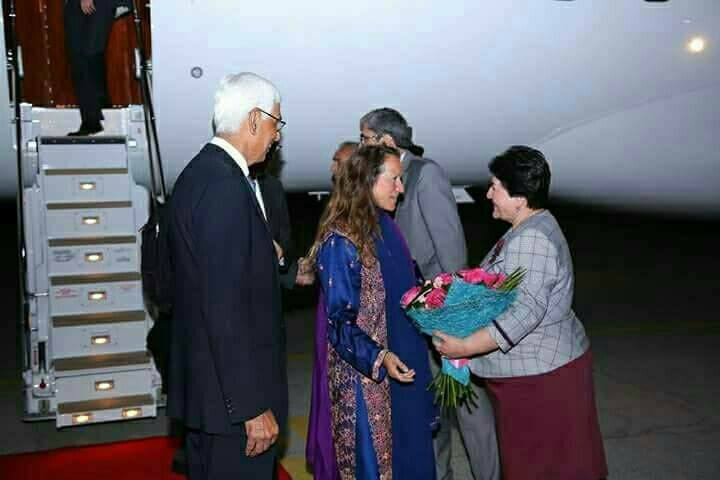 Recall, Princess Zahra Aga Khan arrived in Dushanbe Monday evening for a three-day working visit. 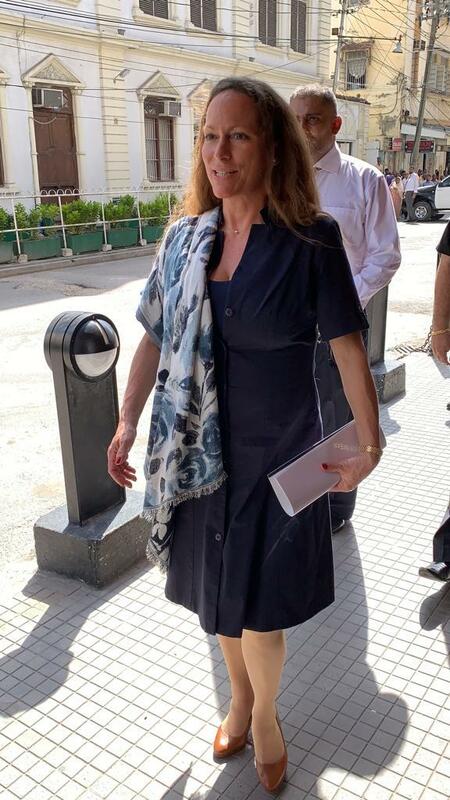 Princess Zahra Aga Khan is the daughter of His Highness the Aga Khan, founder and Chairman of the AKDN. She is a member of the AKDN’s Board of Directors. She has policy and management responsibility for the health, education and social services agencies of the AKDN, and is also involved in policy and strategy matters relating to the other development institutions of the Network. Founded and guided by His Highness the Aga Khan, the Aga Khan Development Network brings together individual agencies that operate in a range of areas – from economic development, education and rural development to cultural revitalization, health care and financial services. 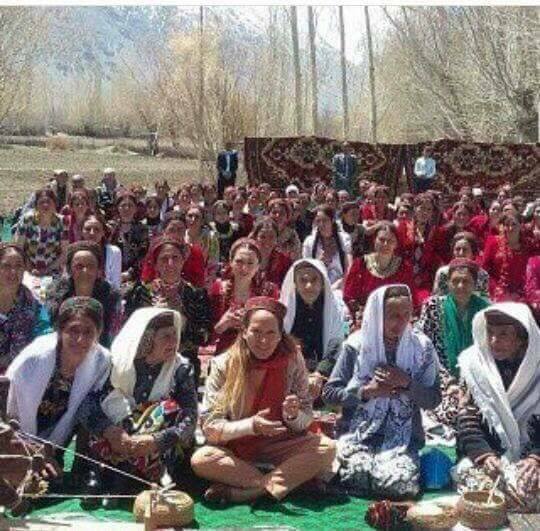 Together these agencies collaborate towards a common goal – to build institutions and programs that can respond to the contemporary challenges and opportunities of social, economic and cultural growth in Tajikistan. Operating in Tajikistan since 1992, AKDN draws on a strong base of experience in working with mountain societies. It works in all regions of the country and employs over 3,500 people through its operations and investments. 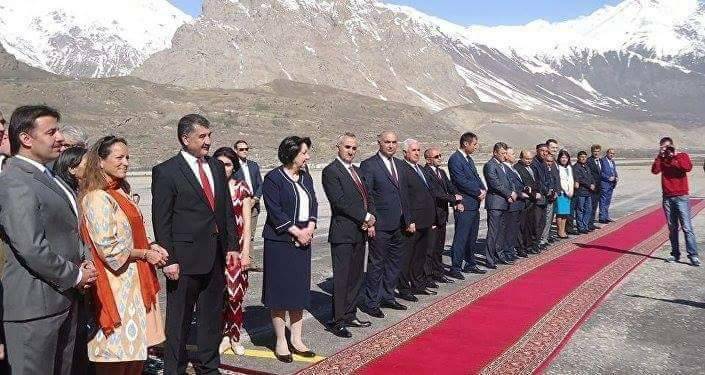 More Photos of the 3 days visit of Princess Zahra Aga Khan in Gorno Badakshan and Tajikistan in general. More to be added later..
Princess Zahra fascinates me with her grace,charm and beauty and the way she present herself.As seen by me she would have attended institutional event and meeting more than both the Prince's. She has almost bought up and groomed Prince Aly Mohammed from his childhood.She is also co managing the stud farm business of MHI. She is Lady of the first family of heavens (Ahle Bayt ).She is for me and most of us KHATOON E ZANNAT ,nothing less. As I am not a historian,I wish to know. Google translation after the original text. Finché non squilla il telefono sembra un incontro tra amici: all’ora del tramonto, al termine di una caldissima giornata di mare. Sorrisi, risate e persino qualche battuta. Poi, all’improvviso, ecco la chiamata inaspettata, quella che riporta tutto su un piano diverso. «Sua altezza ci aspetta tra quindici minuti, dobbiamo essere puntuali». Tutti lo avremmo chiamato semplicemente papà, e magari gli avremmo confessato di essere clamorosamente in ritardo, ma il padre di Zahra è un principe vero. E lei è quella principessa che non ti aspetti: sguardo amichevole e dolcezza malcelata, abbigliamento da spiaggia, abbronzatura perfetta e una certa sofferenza di fronte alla riverenza di collaboratori e segretari. Il padre, in quest’isola, è uno che ha davvero cambiato la storia, è l’uomo che ha trasformato una fetta di campagna vergine nel paradiso internazionale del turismo. Ha immaginato le vacanze a cinque stelle dove c’erano solo pascoli e macchia mediterranea ed è riuscito in un miracolo che probabilmente neppure lui si aspettava così. Lei ha studiato ad Harvard e ha girato il mondo, ma è cresciuta qui, nella vecchia Monti di Mola cantata da De Andrè. Dove il giovane Karim Aga Khan ha progettato alberghi, strade, un aeroporto e una compagnia aerea e dove il Karim con i capelli bianchi ha deciso di vendere tutto (o quasi), abbandonando il sogno di ampliare e rendere ancora più bello il suo gioiello. Zhara è diventata grande insieme alla Costa Smeralda e oggi sfoglia le pagine dei ricordi. Non lo fa volentieri, anche per non correre il rischio di essere tradita dalla commozione. «Queste spiagge, quando io ero piccola, erano tutte ricoperte da migliaia di gigli bianchi: ce n’erano tantissimi, erano ovunque, ora sono spariti. Sulla riva, a due passi dal mare, pascolavano le vacche». Cosa vede ancora oggi della Sardegna di allora? «Poco o nulla. È davvero tutto cambiato. Anche il mare non è più quello di un tempo. Il colore è un altro. Oggi sono stata vicino alla spiaggia di Spalmatore e ho rivisto un luogo molto diverso rispetto a quello che ricordavo». Insomma, non è vero che l’isola è rimasta un’oasi incontaminata? «Nessuno si offenda, ma tanti anni di poco rispetto del mare hanno lasciato tracce anche qui. E poi l’isola non è mica indenne agli effetti dei cambiamenti climatici. Il colore dell’acqua lo dimostra». 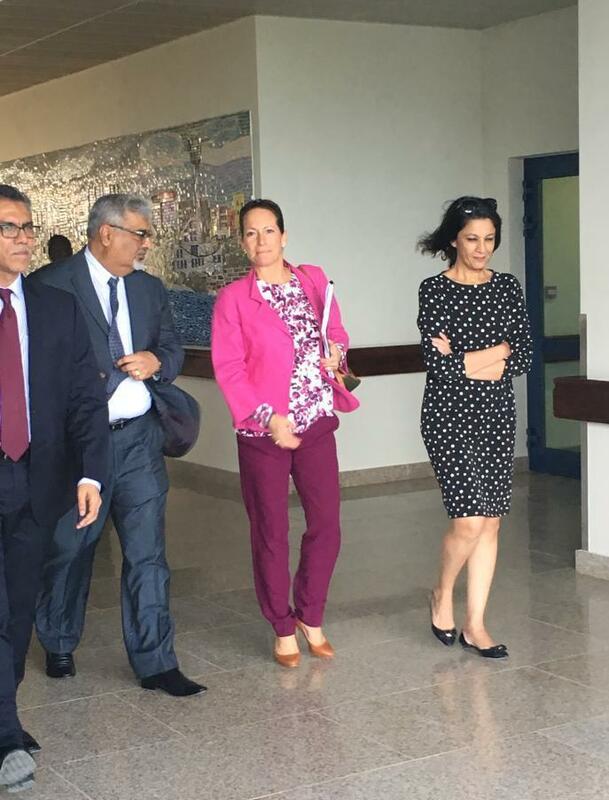 La figlia del creatore della Costa Smeralda, dunque, sogna la Sardegna come un grande parco? «Gestire un parco non significa vietare tutto. Nel mondo ci sono modelli di parchi naturali che funzionano molto bene. Sarebbe il momento che la Sardegna pensasse a copiare uno di quei modelli, con un vero piano di protezione dell’ambiente. Con una gestione vera. Non bisogna fare un parco totale, il mare non vive così. Un esempio? Da 30 anni, nelle zone in cui davvero tengono all’ambiente, in tutte le secche sono state piazzate le boe che impediscono l’avvicinamento delle barche e la devastazione dei fondali. Perché qui non si fa nulla?». Se è vero che questo non è più tesoro naturalistico, in che modo è stato compromesso? «Il problema principale è la non gestione. Lo scorso anno ho parlato con una dipendente del parco nazionale de La Maddalena incaricata di riscuotere la tassa di ormeggio tra i proprietari delle barche. Le ho chiesto come venissero utilizzate quelle risorse e mi ha detto che non ne sapeva nulla. E allora? Questo ci dimostra che non ci sono idee». Come nasce il suo impegno per l’ambiente? Come mai proprio lo Yacht Club diventa il paladino della natura? «Tanti soci sono coscienti del cambiamento del pianeta. È un cambiamento evidente: ieri a Cagliari c’erano 51 gradi e a Dubai la settimana scorsa erano 55. Lo sappiamo tutti che siamo di fronte a un processo di degrado continuo. Forse possiamo fare qualcosa. Certo, non sarà il nostro club a riuscire a fermare un fenomeno così grande. Però vogliamo coinvolgere anche gli altri club e mandare un segnale ai governi, che siglano patti per l’ambiente e poi non fanno nulla di concreto. Noi, di certo, non vogliamo fare gli struzzi». Ma proprio la nautica è spesso sul banco degli imputati: sotto processo per il poco rispetto del mare. Non può sembrare una contraddizione? «La nautica sportiva non ha un impatto sul mare, almeno quel tipo di imbarcazioni che utilizziamo noi. E da qui vogliamo partire per lanciare il nostro messaggio: il sogno è quello di contagiare la gente di mare con la nostra voglia di salvare il pianeta». 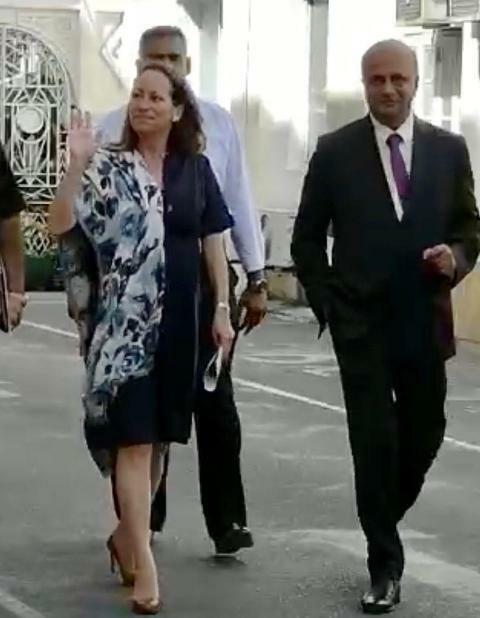 Princess Zahra Aga Khan: "Save the Sea of Sardinia"
The daughter of the founder of Costa Smeralda: "Let's make it a park"
As long as the phone rings, it looks like a meeting between friends: at sunset, at the end of a hot day of the sea. Smiles, laughs and even a few jumps. Then, suddenly, here's the unexpected call, the one that brings everything to a different plane. "Your height waits for fifteen minutes, we must be timely." We would all just call him Daddy, and maybe we would have confessed to being loudly late, but Zahra's father is a true prince. And she is that princess you do not expect: a friendly look and unhappy sweetness, beachwear, perfect tanning, and some suffering in the face of the reverence of collaborators and secretaries. The father, on this island, is one who has really changed the story, is the man who has transformed a virgin country slice into the international tourism paradise. He imagined the five-star holiday where there were only pastures and Mediterranean scrub and he succeeded in a miracle that he probably did not expect so. She studied at Harvard and filmed the world, but grew up here, in the old Mola Mountains sung by De Andrè. Where young Karim Aga Khan has designed hotels, roads, an airport and an airline and where Karim with white hair has decided to sell everything (or almost), abandoning the dream of expanding and making his jewel even more beautiful. Zhara has become great along with the Costa Smeralda and now browse pages of memories. He does not do it, even if he does not run the risk of being betrayed by emotion. "These beaches, when I was little, were covered by thousands of white lilies: there were a lot of them, everywhere they were gone. On the shore, near the sea, they graze cows. " What do you still see in Sardinia today? "Little or nothing. It's really all changed. Even the sea is no longer that of a time. Color is another. Today I was close to the spreader beach and I have seen a very different place from what I remembered. " In short, is not it true that the island has remained unspoiled oasis? "No one is offended, but many years of little respect to the sea left traces here too. And then the island is not bad for the effects of climate change. The color of the water shows it. " So the daughter of Costa Smeralda's creator dreams of Sardinia as a big park? "Managing a park does not mean to ban everything. In the world there are models of natural parks that work very well. It would be time for Sardinia to think of copying one of those models, with a real environmental protection plan. With real management. You do not have to make a total park, the sea does not live like this. An example? For 30 years, in areas where they really keep the environment, booms have been placed in all the ditches, preventing boats from approaching and devastating the backdrops. Why is nothing done here? " If it is true that this is no longer naturalistic treasure, how has it been compromised? "The main problem is non-management. Last year I spoke with an employee of La Maddalena National Park charged with charging the mooring fee among boat owners. I asked her how to use those resources and told me she did not know anything about it. So? This shows us that there are no ideas. " How is your commitment to the environment born? Why is the Yacht Club becoming the paladin of nature? "Many members are aware of the planet's change. There is a clear change: yesterday in Cagliari there were 51 degrees and in Dubai last week were 55. We all know that we are facing a process of continuous degradation. Maybe we can do something. Of course, our club will not be able to stop such a big phenomenon. However, we want to involve the other clubs and send a signal to governments, who sign agreements for the environment and then do nothing concrete. We, of course, do not want to make the ostriches. " But just nautical is often on the bench of the defendants: under process for the little respect for the sea. Can not it seem a contradiction? "Sports boating has no impact on the sea, at least those kind of boats we use. And from here we want to start to launch our message: the dream is to conquer the sea people with our desire to save the planet. " On 11 December, 2017, during Mawlana Hazar Imam’s Diamond Jubilee visit to Pakistan, the Ismaili Council for Pakistan hosted a dinner in honour of the Board of Trustees of the Aga Khan University. 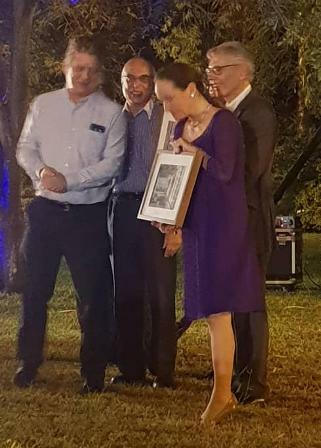 The dinner was attended by Princess Zahra along with other trustees and leaders of the Aga Khan Development Network and Jamati institutions. In his welcome address, President Hafiz Sherali remarked that the presence of both Mawlana Hazar Imam and Princess Zahra Aga Khan was truly significant. “It invokes hope, trust, and confidence for all of the volunteers working with AKDN and Jamati institutions,” Sherali said. Addressing the guests at the dinner, Princess Zahra expressed how proud she was in celebrating the achievements and steps taken every day by the institutions in the development of Pakistan and other countries. Acknowledging the diverse representation of institutions, Princess Zahra emphasised the importance of all the pieces of what she called a “mosaic”, working together. Mawlana Hazar Imam met with the Board of Trustees during his Diamond Jubilee visit to Pakistan. He also inaugurated the Aga Khan University’s Centre for Innovation in Medical Education (CIME), a state-of-the-art facility for technology-based learning for health professionals. Board of Trustees in November 2017. Porto Cervo, Italy: Sardinia put on her best show today, providing sunshine and a mistral wind for the final day of the 11th Loro Piana Superyacht Regatta, organised by the Yacht Club Costa Smeralda with the support of title sponsor Loro Piana. My Song triumphed in class A and Savannah, on her debut in this regatta, took victory in class B. As scheduled, at 11.30 a.m. on the waters off Porto Cervo the Race Committee, led by Peter Craig, began the starting sequence starting for the coastal race of about 31 miles around the islands of the La Maddalena archipelago. A mistral wind was blowing at 22 knots which fell slightly to 20 knots over the course of the race. The superyachts started from Porto Cervo, circumnavigated the islands of Caprera and La Maddalena to port and left the Secca di Tre Monti to port before leaving the Monaci islets to starboard and returning to Porto Cervo. There was a spirited battle in Class B, where the ‘little’ Savannah, an elegant Spirit of Tradition yacht of 27 metres, scored a hat-trick, beating the 46-metre Ganesha once again, this time by just 33 seconds. "It's great to win, it's a wonderful regatta and the best location in the world." commented Savannah's owner, Hugh Morrison. "We had very good breeze today, very good conditions, flat seas and it was really very impressive to see all the other boats catching up with us." Third place in class B went to Escapade. Ganesha crossed the finish line first in real time followed by My Song by just 1 minute and 53 seconds, who had started 15 minutes behind Ganesha due to being the fastest boat in the fleet and therefore the final one in the starting sequence. Class A also saw a hat-trick as My Song notched up her third victory today while her direct rivals suffered various problems and equipment failures. The 148-footer Saudade withdrew just minutes from the start due to a problem with her foresails, while Inoui remained in port. Highland Fling, which yesterday collided with a submerged, unmapped rock, today sailed for Palma de Mallorca for the necessary assessments. In class A, My Song was joined on the podium by Marco Vogele's Inoui and Saudade, owned by Albert Buell. The Silver Jubilee Trophy, reserved for the top superyacht from both classes over 100 feet long, went to My Song, which also claimed the award for the top placed yacht owned by a YCCS member. The Loro Piana Superyacht Regatta 2018 ended with the prize giving in Piazza Azzurra attended by Princess Zahra Aga Khan, President of the YCCS and One Ocean Boards of Directors. Yesterday, on World Oceans Day, the Princess took part in the YCCS Clean Beach Day, removing refuse from the Tre Monti beach together with school children from Arzachena and Cannigione. Princess Zahra Aga Khan declared: "This year we started the One Ocean foundation which is one of the most recent additions to ocean conservation. There are many people doing this already but we thought we'd add our little contribution to maintaining the health of the marine environment. “Thank you all for being here, sailing is so representative of a clean, healthy approach to living on and honouring the sea." YCCS Commodore Riccardo Bonadeo stated: "We had to wait a few days, but in the end the typical mistral wind and the Sardinian sunshine made this final day of the 11th edition of the Loro Piana Superyacht Regatta unique. “Warm congratulations go to our member and friend Pier Luigi Loro Piana for his win and to the team on Savannah, who took victory in their class on their debut at this regatta. I would like to thank all the participants, the Race Committee and the YCCS staff together with the title sponsor Loro Piana who has worked alongside us for years on this exclusive event which represents the perfect combination of sporting action and social events." Pier Luigi Loro Piana, owner of My Song: "Almost paradoxically I'm sad because such a great event has come to an end. Sardinia in this season is always fantastic, and today has made up to everyone present for the uncertainties of the first few days. “I'm also sorry for the many owners who were unable to be present for this edition, and I would like to take this opportunity to invite them here for the next one. Finally, I want to thank my crew for the great job they did on tuning the boat, they deserve the credit for this victory." The next event organised by the Yacht Club Costa Smeralda will be the Audi Invitational Team Racing Challenge from 21 to 23 June. Princess Zahra Aga Khan sets example cleaning beach with school children in Sardinia. (Photo: Lorenzo Camillo). 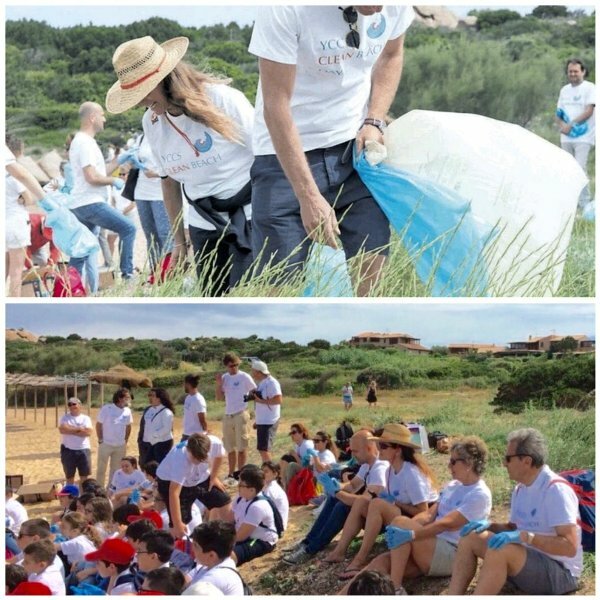 Porto Cervo, Italy: Sardinia - Princess Zahra Aga Khan declared: "This year we started the One Ocean foundation which is one of the most recent additions to ocean conservation. There are many people doing this already but we thought we'd add our little contribution to maintaining the health of the marine environment. “Thank you all for being here, sailing is so representative of a clean, healthy approach to living on and honouring the sea." The GEL Summit at the UN, in partnership with the International School of Geneva, will bring together global leaders to inspire students from diverse backgrounds on the importance of Responsible Business and the UN’s Sustainable Development Goals (SDGs). The event will focus on the theme of ‘Business for Good,’ connecting students from around the globe, encouraging them to collaborate and create innovative ideas that address the UN’s SDGs. We want to engage leading corporates and entrepreneurs in the conversation, providing a platform for them to inspire the next generation of leaders that our world deserves. 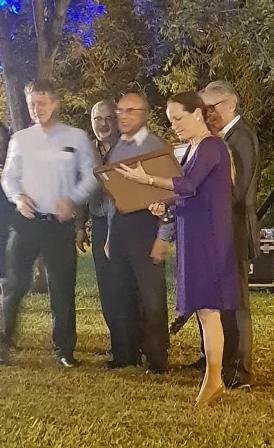 2018, November 7: Princess Zahra Aga Khan came to Dar es Salaam (Tanzania) from Nairobi (Kenya). 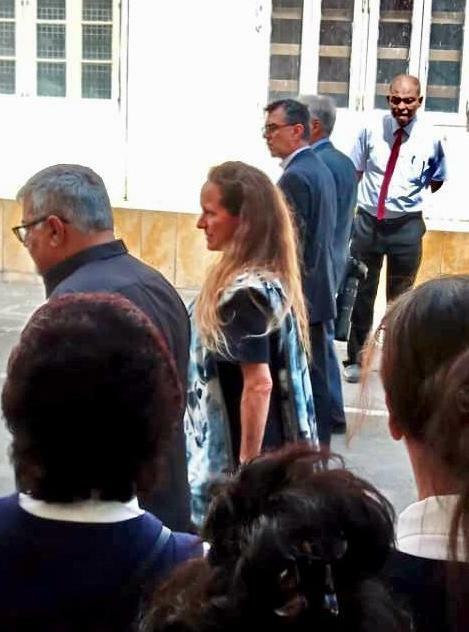 She visited the Aga Khan Hospital. 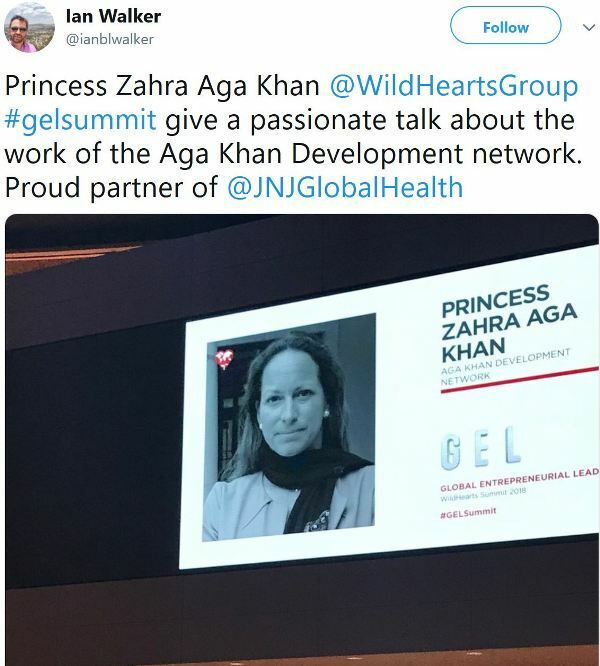 2018, November 6 - Princess Zahra Aga Khan, Aga Khan Development Network spoke on Inspiration at the Gel Summit at Palais des Nations in Geneva. 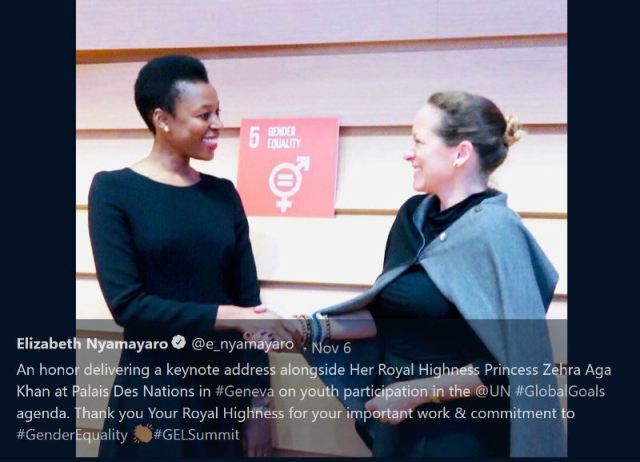 The GEL Summit at the UN, in partnership with the International School of Geneva, brought together global leaders to inspire students from diverse backgrounds on the importance of Responsible Business and the UN's Sustainable Development Goals. The Aga Khan Hospital, Dar es Salaam - Phase II will be inaugurated on Saturday 9 March 2019 in the presence of Princess Zahra and His Excellency, the Honourable Kassim M. Majaliwa (MP), Prime Minister of the United Republic of Tanzania. Coverage of the event is expected to begin at approximately 10 AM Eastern Africa Time, and will be webcast at the.ismaili/live. Phase II began in 2012, as part of the Hospital’s evolution, when the Aga Khan Health Services embarked on a TZS 192 billion expansion. This has transformed the Aga Khan Hospital from a 74-bed hospital into a 170-bed tertiary care teaching hospital that offers the facilities to successfully provide advance clinical programmes in cardiology, oncology, neuro sciences, critical care (including neo-natal critical care), and maternal and child health, all supported by relevant diagnostics, integrated operating rooms and a sophisticated accident and emergency department. 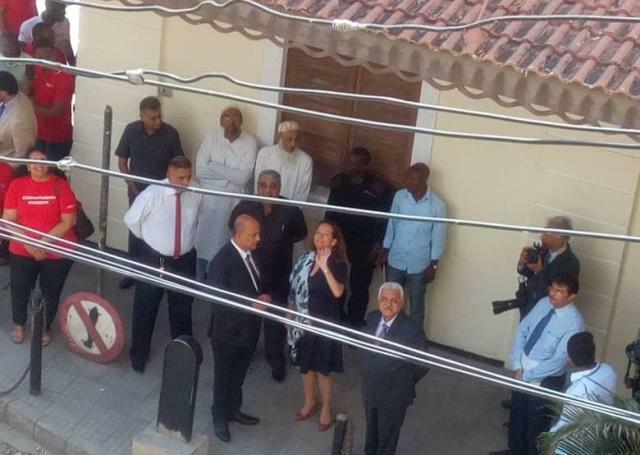 2019, March 8: Princess Zahra Aga Khan has arrived in Dar es Salaam, Tanzania (here near Darkhana JK) for the Inauguration of the Phase II of the Aga Khan Hospital, tomorrow around 10 AM. 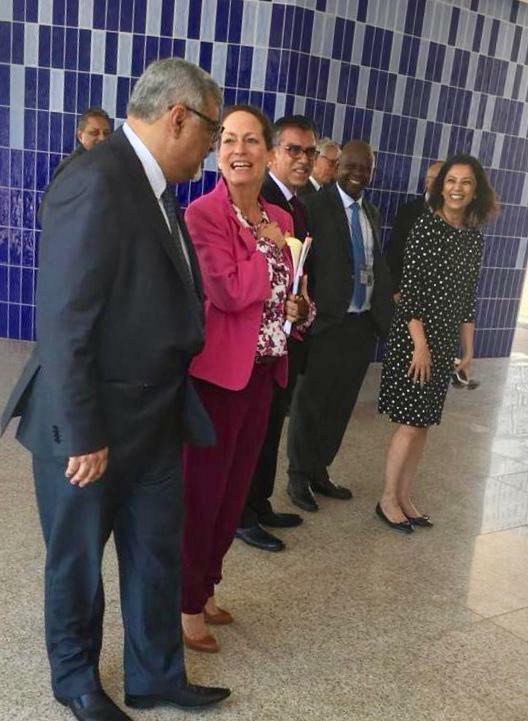 Yesterday she had meetings in Nairobi , Kenya at the Aga Khan University Hospital. 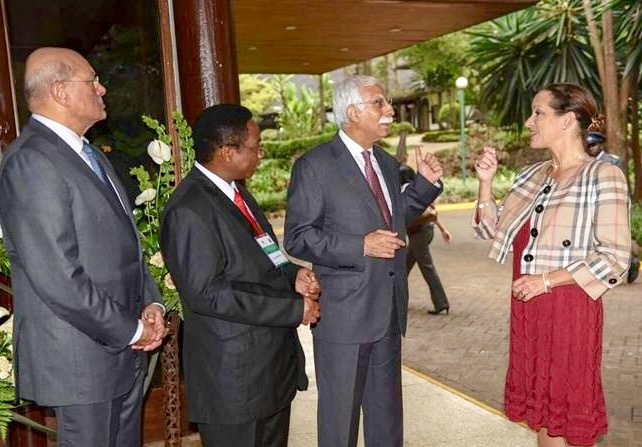 The Aga Khan Development Networks (AKDN) has expanded its hospital structure in Dar es Salaam in a bid to mitigate the high number of cancer patients diagnosed in the country and taken across borders for treatment. Dar es Salaam — Prime Minister Kassim Majaliwa is expected to officiate the inauguration of the $83 million (about Sh190.9 billion) worth expanded Aga Khan Hospital-Dar es Salaam (AKHD) building on Saturday, March 9. 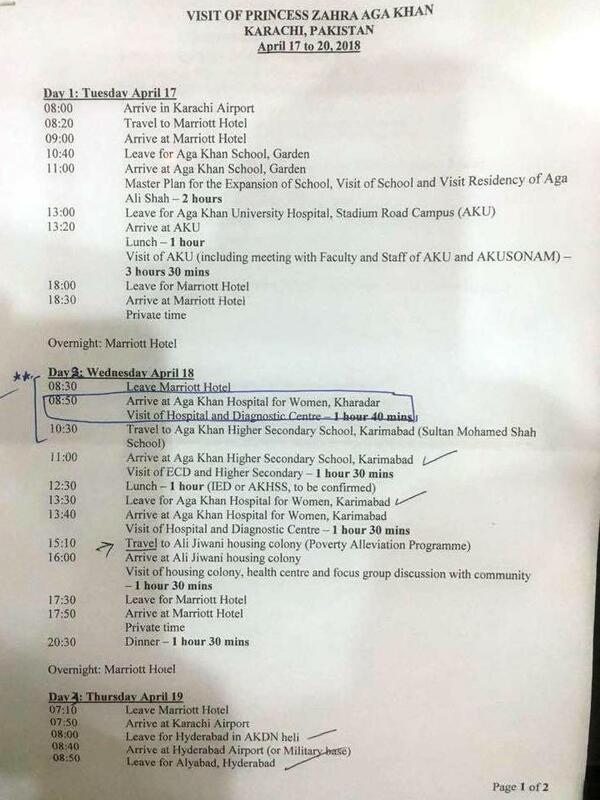 Speaking to The Citizen on Thursday, March 7, the Aga Khan Development Network (AKDN) representative, Mr Amir Kurji, said that the structure is intended to accommodate more cancer patients who are normally referred abroad for treatment. He said that the new 100-bed capacity building will be used as a referral centre, and will have more theatres and additional intensive care facilities. Formerly, it had a 75-bed capacity. "In partnership with the government through public hospitals, we are set to develop a major cancer programme in the country in a bid to collaboratively curb the high number (34,000) of new cancer patients diagnosed annually in the country," he said. Mr Kurji disclosed that the expansion work of the hospital building was now complete and it will be opened on March 9 by the Premier alongside the minister for Health, Community Development, Gender, Elderly and Children, Ms Ummy Mwalimu. He said that the expansion of phase II building at Aga Khan Hospital, did not only see the structural expansion in terms of the aforementioned improvements, but also robust strengthening of existing clinical services and introduction of several new services. 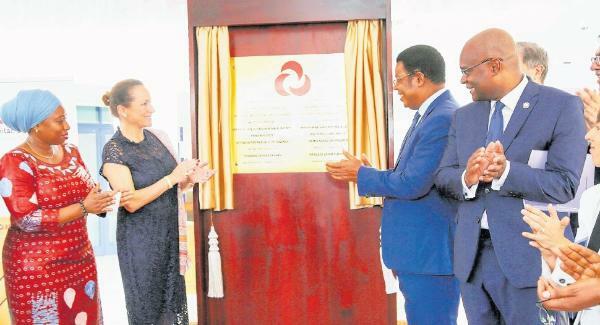 "The clinical services enhancement was profoundly through capacity building in terms of human resources, training and technological advancement and the latest psychiatrists' programmes for cancer, heart disease and infant health, are supported by a modern-day research technology that will enable Tanzanians to access international healthcare services locally," he said. Meanwhile, for more than a century, the agencies of the Aga Khan Development Network (AKDN) have been contributing to the social, economic and cultural development of Tanzania and its economic development activities have significantly contributed to new sustainable enterprises and created jobs through long-term investments. 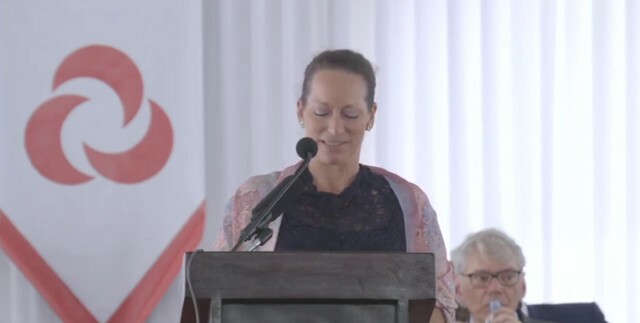 2019, March 9 - Princess Zahra Aga Khan attended in Dar es Salaam, Tanzania, the Inauguration of the Phase II of the Aga Khan Hospital. 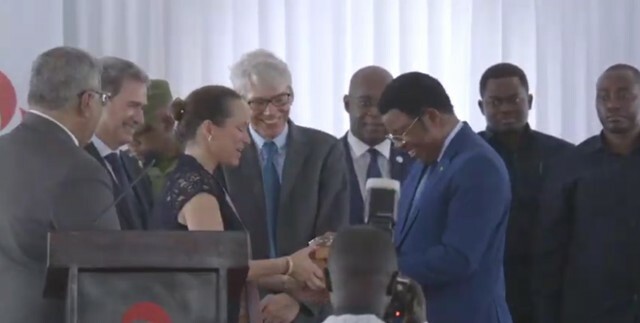 Prime Minister Kassim Majaliwa officiated the inauguration of the $83 million (about Sh190.9 billion) worth expanded Aga Khan Hospital-Dar es Salaam (AKHD) building. Delegates from Government as well as partner agencies such as the French Development Agency and guests attended the ceremony. 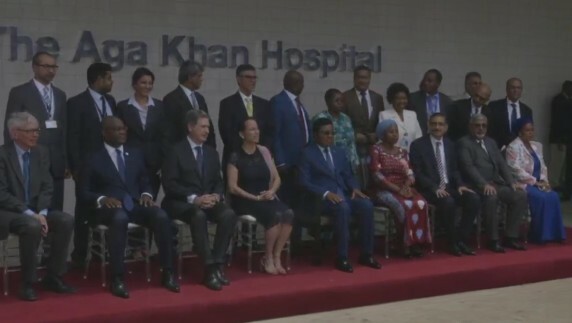 2019, March 9: Unveiling ceremony of the expansion phase II of the Aga Khan University Hospital in Dar es Salam was performed by the Prime Minister, the Minister of Health and Princess Zahra Aga Khan. 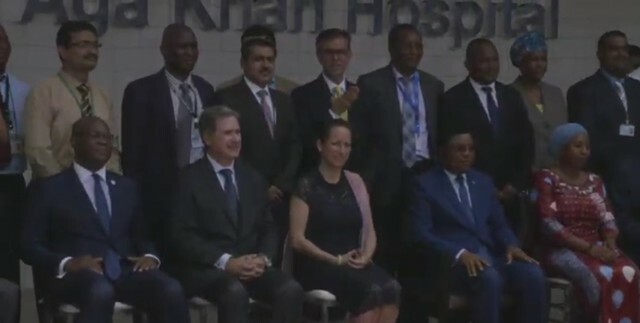 Earlier today, Princess Zahra visited the Aga Khan Hospital, Dar es Salaam and joined His Excellency Kassim Majaliwa, Prime Minister of Tanzania, to preside over the inauguration of Phase II of its expansion programme. The event was also attended by the Honourable Ummy Ally Mwalimu, Minister of Health, Community Development, Gender, Elderly and Children; Frédéric Clavier, French Ambassador to Tanzania; Christian Yoka, Regional Director for Eastern Africa, Agence Franc&#807;aise de De&#769;veloppement; along with leaders of the Jamat and Aga Khan Development Network (AKDN). The Aga Khan Hospital, Dar es Salaam is managed by the Aga Khan Health Services (AKHS), which has been operating in Tanzania since the 1920s, and counts among the longest-serving healthcare institutions in East Africa. The Hospital and its associated outreach health centres follow an integrated approach based on a continuum of care for the local community. They also strive to deliver services that significantly raise local standards. AKHS facilities in Tanzania are known today for their high level of ethical practices, innovation, and provision of quality healthcare. In 2012, AKHS Tanzania embarked on a major expansion of the Hospital, which has transformed it into the 170-bed, tertiary care teaching facility which was inaugurated today. 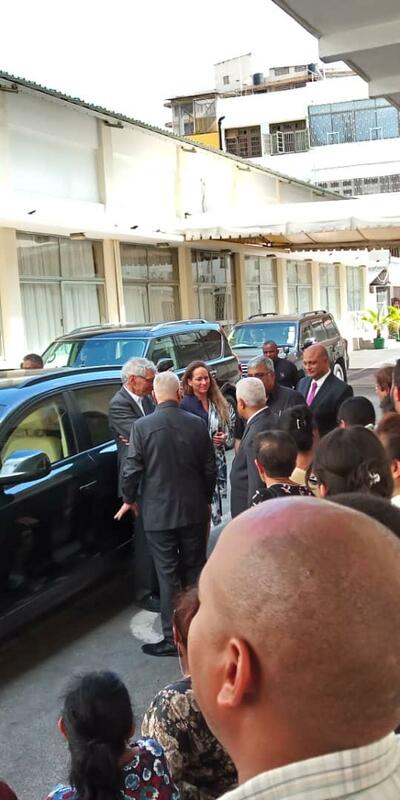 His Excellency the Prime Minister was greeted by Princess Zahra upon his arrival to the Hospital grounds. The delegation toured the new building and facilities, before unveiling the plaque to mark the official inauguration of the Hospital’s expansion. 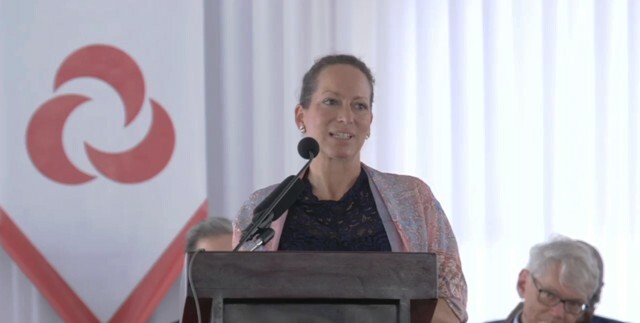 Addressing guests gathered at the opening ceremony, Princess Zahra spoke of the state-of-the-art facilities and services, and the international standard of the Hospital. “These services come in addition to our traditional key focus areas of maternal, neonatal and child health, which have also been strengthened as a result of this expansion,” continued Princess Zahra. In collaboration with the Aga Khan University, post-graduate medical education programmes have also been established, with the first batch of resident physicians expected to graduate later this year. The expansion includes 35 outreach health facilities, of which 23 are established and operational in towns and rural areas across Tanzania, and a specialised training programme for healthcare professionals. 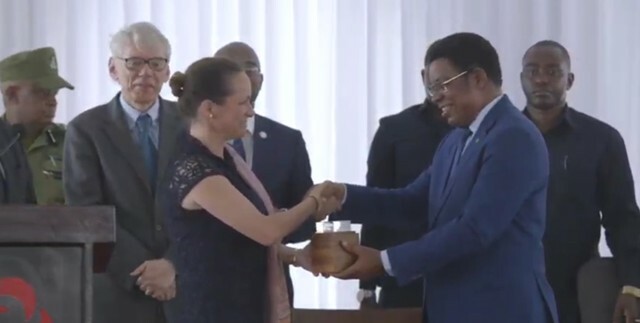 During his remarks, Prime Minister Kassim Majaliwa acknowledged the well-established collaboration that has occurred between the Tanzanian government and the AKDN. This strong partnership, illustrated by the newly inaugurated expansion of the Aga Khan Hospital, Dar es Salaam, will play an essential role in cementing Tanzania as a regional leader in the provision of world class healthcare and education. Today is indeed a momentous day for the Aga Khan Development Network as we celebrate the inauguration of the Phase II expansion of the Aga Khan Hospital, Dar es Salaam. Other pressing engagements have kept my father, His Highness the Aga Khan away today but he asked me to carry with me his congratulations, his gratitude to President Magafuli, Prime Minister Majaliwa and to the Government of Tanzania for helping us to construct this state-of-the-art facility in Dar es Salaam. The Aga Khan Development Network has now been in Tanzania for over 100 years and works in many sectors of economic and social and cultural development across the country. Indeed, the original building on this site was built in 1964. I think it’s a testimony to the long history of the Aga Khan Development Network and the long partnership between the Government of Tanzania and the institutions of the network. Your Excellency, Prime Minister, thank you so much for accepting to be our guest of honour at today’s celebration. 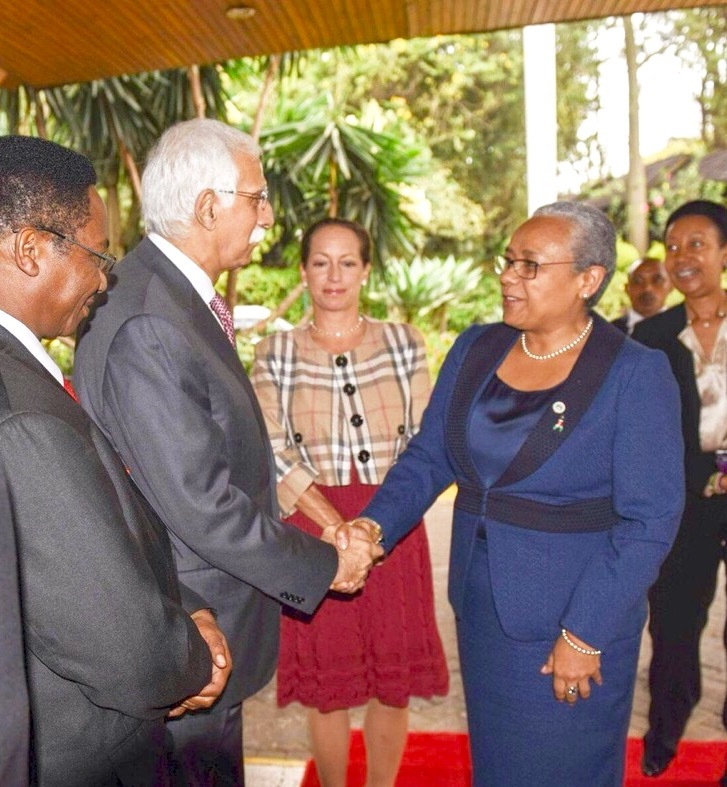 Thank you also Honourable Minister for all the wonderful support that your Ministry provides to the Aga Khan Health Service, Tanzania, which enables us to continue with our mandate of providing quality care and community health initiatives across 11 regions of the country. We are delighted to have been able to construct this facility and to expand the Aga Khan Hospital, however, the real value lies in the project, in the clinical programmes. These will supplement the efforts of the Government of Tanzania, and working with the public health system will develop a robust capacity to see that many Tanzanians receive advanced trainings in this institution. In advance of this project, Aga Khan Health Services ensure that many of our colleagues and staff are trained overseas to be able to provide the technological complex health care which is provided now in the Phase II building we are opening today. I am pleased to say, thanks to that, today, the hospital employs some of the most qualified and competent human resources, supplemented by world-class technical expertise, and that this hospital will offer specialised programmes in cardiology, oncology, neurosciences, advanced critical care diagnostics as well as responding to the increasing burden of non-communicable diseases in Tanzania. These services come in addition to our traditional key focus areas of maternal, neonatal and child health, which have also been strengthened as a result of this expansion, the Phase II building. I am delighted that this advanced facility will allow all Tanzanians to receive world-class treatment at home and therefore reversing the need for medical tourism abroad and hopefully encouraging medical tourism within the region. As you heard already, this Phase 2 expansion was part funded by Agence Française de Développement. A partnership between AFD and the Aga Khan Development Network which extends to many countries around the world and many sectors and we remain extremely grateful to AFD for their extensive and continuous support. Please could I ask Mr. Christian Yoka on our behalf, to convey our appreciation to Mr. Remy Rioux the CEO of AFD who has been here and visited this project before it was inaugurated. The Aga Khan Development Network and Aga Khan Health Services is a leading not-for-profit health care operations working in 12 different countries, operating 20 hospitals and nearly 500 health centres that provide quality health care to more than five million patients a year working closely with government and other institutions in areas of service delivery, population health, capacity building and cross cutting themes, medical and nursing education, digital health, health care financing and quality of care development. This hospital was internationally recognized in 2016 with the Joint Commission International, the first hospital in Tanzania and only the second one in East Africa, after the Aga Khan University Hospital in Nairobi, to get this distinction of quality of care. With this quality assurance and in keeping with the growing need for specialised quality care in East Africa and Tanzania, AKHS embarked on this TZ Shillings 192 Billion (equivalent to US$ 83.5 million) expansion of the Hospital, but, also as Mr. Yoka said, expansion of outreach centres that span across Tanzania. We hope that this expansion, working with these outreach centres, government centres and government hospitals, training nurses and doctors for the country, will have an impact far outside Dar es Salaam. I would like to express my heartfelt gratitude to all those who were involved in planning and constructing this ultra-modern hospital, especially the Project Team, the architects, the contractors, the engineers and all of the professionals who made this a reality. Also, thanks to the staff who put up with the construction, to the patients who survived the noise and the dust and to all those who were involved in making this project a reality. 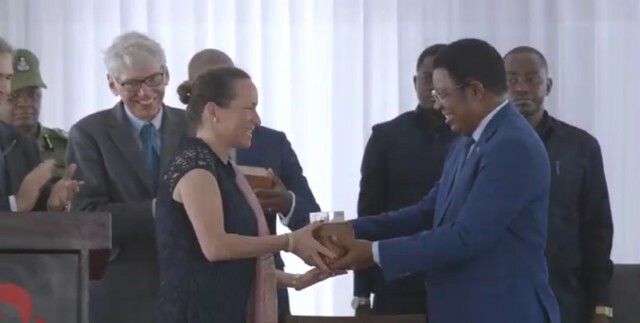 Dar es Salaam — Prime Minister Kassim Majaliwa has directed the Dodoma City Council executive director to allocate land specifically for the Aga Khan Development Networks (AKDN) to invest in a bid to, among other things, help the country achieve universal health coverage. The Premier issued the directive yesterday during the inauguration of the Sh192-billion worth expanded (Phase II) Aga Khan Hospital building in Dar es Salaam, insisting that the government wanted to keep on working closely with the Network to enhance improvement in various key sectors. "We ask you (AKDN) to expand your network to our Dodoma capital by building a highly advanced hospital, like you have done here, and help us achieve a universal health coverage for our people," he said. He disclosed the directions he had given to Dodoma City's executive director Godwin Kunambi to allocate a place for AKDN to expand its health services. "I've directed the executive director in Dodoma to ensure that AKDN gets enough space to invest in key areas to improve lives of our people," he said. 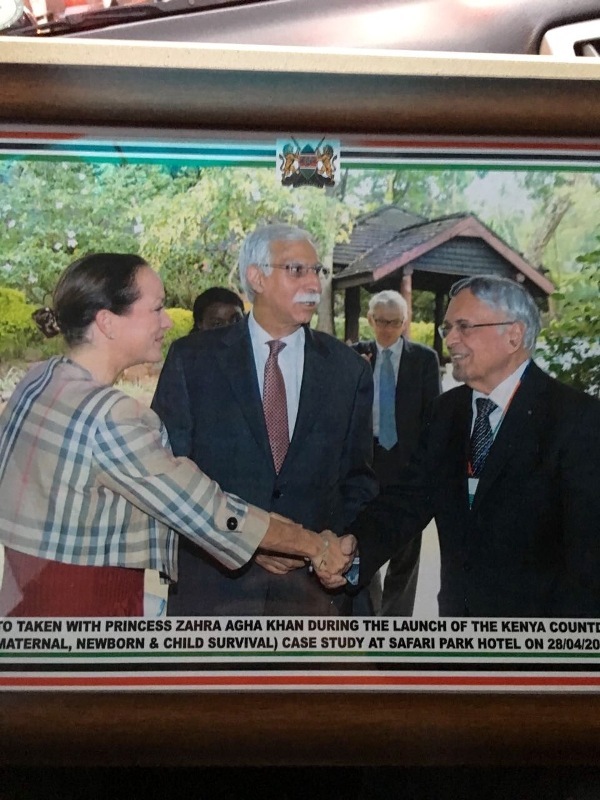 For her part, Princess Zahra, also a member of the board of directors of the AKDN, said that Phase II building that began in 2012, as part of the Hospital's evolution, when the Aga Khan Health Services embarked on a Sh192 billion expansion was designed to help the government of Tanzania to improve its people's health. 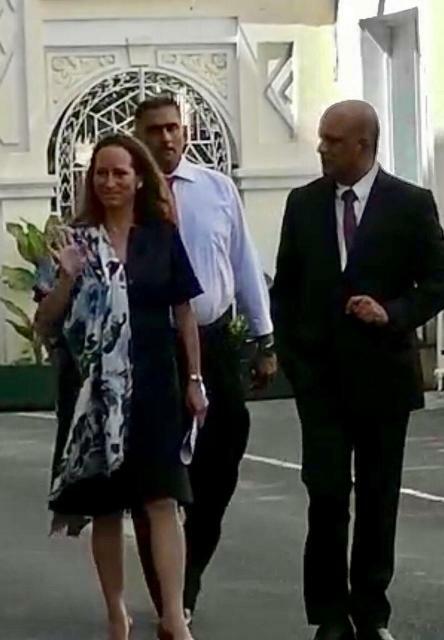 "The new building has transformed the Aga Khan Hospital from a 74-bed hospital to a 170-bed tertiary care teaching hospital that offers the facilities to successfully provide advanced clinical programmes in cardiology, oncology, neuro sciences, critical care (including neo-natal critical care), and maternal and child health," she said. 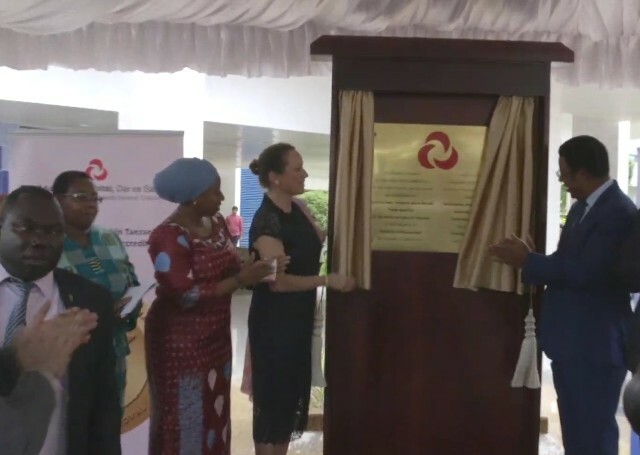 Princess Zahra said that the expanded facility was supported by relevant diagnostics, integrated operating rooms and sophisticated accident and emergency departments that would all mitigate the number of Tanzanians seeking medical tourism abroad. "A part of the expansion, 35 outreach health facilities across Tanzania have been planned, 23 of which are already operational and Aga Khan Health Services will spend Sh2.7 billion on specialised training of healthcare professional who would complement our goal to enhance the achievement of universal health coverage in the country," she said. Further, the minister for Health, Community Development, Gender, the Elderly and Children, Ms Ummy Mwalimu, said that the government still welcomed investment from key stakeholders in order to improve the people's health. "AKDN's 170-bed capacity will help us curb the shortages that still exist in our hospitals and also its provision of training to health specialists is another area of concern. We want to keep collaborating for the betterment our country," she said.